Brent W. Brisben (born March 20, ?) is an American treasure hunter best known for salvaging the shipwrecks of the historic 1715 Treasure Fleet, a Spanish treasure fleet returning from the New World to Spain. During the early morning hours of July 31, 1715, seven days after departing from Havana, Cuba, eleven of the twelve ships of this fleet were lost in a hurricane near present-day Vero Beach, Florida. Because the fleet was carrying silver, it is also known as the 1715 Plate Fleet (plata being the Spanish word for silver plate). Some artifacts and even coins still wash up on Florida beaches from time to time. Brisben and his father William O. Brisben founded 1715 Fleet - Queens Jewels, LLC in 2010. The Brisbens purchased the exclusive salvage rights to the 1715 Treasure Fleet from the heirs of world-famous treasure hunter Mel Fisher. Just 17 days after the purchase, a subcontractor to 1715 - QJ recovered the only bronze swivel gun ever found on the 1715 Fleet. Hidden inside the bronze cannon were 51 gold escudos and 40 silver reales. Within a month of the cannon find, a mother/daughter team of subcontractors of Brisben's company recovered the "Pelican in Piety". The find was valued at $885,000. In July 2013, Brisben and his crew aboard the M/V Capitana made headlines with the recovery of 51 gold escudos valued at $300,000. Days later on Sept 1, 2013 a family of subcontractors recovered 50 feet of gold chain and 5 gold escudos valued at over $350,000. On July 28, 2015, Brisben announced that the same family of subcontractors had found over 50 gold coins worth approximately 1 Million Dollars. The centerpiece of the find was an extremely rare coin called a Royal dated 1715. The Royal coin was a perfect specimen of Spanish coinage made specifically for King Phillip V.
On July 30 and 31 of 2015, Brisben and his crew aboard the M/V Capitana made one of the most significant finds in 1715 Fleet History. On the actual 300th Anniversary of the sinking of the 1715 Fleet, they recovered 300 gold coins including 7 Royals. Over the next week of salvage they added 50 more coins including 2 Royals. The story of the recovery of 350 Spanish Escudos and 9 Royals worth 4.5 Million Dollars made headlines worldwide. CBS THIS MORNING broke the story live on August 19, 2015. Brent Brisben was born and raised in Montgomery, Ohio, a suburb of Cincinnati. He graduated from Archbishop Moeller High School in 1986 and was a member of Moeller's 1985 state championship football team. After high school, Brisben attended the University of Cincinnati where he studied communications. Brisben worked as a sports producer at WCPO-TV in Cincinnati and later worked for his father's real estate development company. ^ "1715 Fleet - Queens Jewels, LLC". Archived from the original on 2014-01-16. 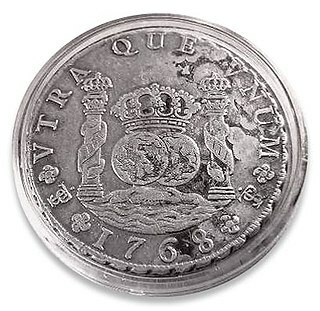 The Spanish dollar, also known as the piece of eight, is a silver coin, of approximately 38 mm diameter, worth eight Spanish reales, that was minted in the Spanish Empire following a monetary reform in 1497. Lutine was a frigate which served in both the French Navy and the Royal Navy. She was launched by the French in 1779. 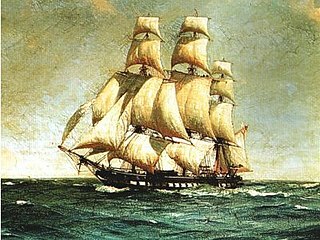 The ship passed to British control in 1793 and was taken into service as HMS Lutine. She sank among the West Frisian Islands during a storm in 1799. 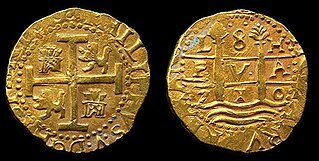 The real was a unit of currency in Spain for several centuries after the mid-14th century, but changed in value relative to other units introduced. In 1864, the real was replaced by a new escudo, then by the peseta in 1868, when a real came to mean a quarter of a peseta. The most common denomination for the currency was the Real de Ocho or Spanish dollar used throughout Europe, America and Asia during the height of the Spanish Empire. 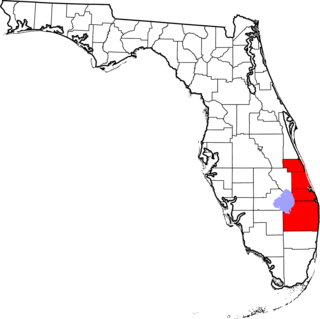 Urca de Lima is a Spanish shipwreck near Fort Pierce, Florida, United States. She was part of the 1715 Treasure Fleet, herself, one of the numerous Spanish treasure fleets sailing between Spain and her colonies in the Americas. The wreck is located north of Fort Pierce Inlet, 200 yards off the shore from Jack Island Park. It became the first Florida Underwater Archaeological Preserve when dedicated in 1987. This was followed on May 31, 2001 with its addition to the U.S. National Register of Historic Places. The Środa Treasure is a hoard of silver and gold coins, plus gold jewellery and some precious stones. The hoard dates from the mid 14th century. Its largest component is silver coins, of which there are about 3,000 pieces. The hoard was found in years 1985–1988 during renovation works in Silesian town of Środa Śląska, Poland. Today it is mostly kept in the Regional Museum in Środa Śląska. The McLarty Treasure Museum is located at 13180 North A1A on Orchid Island, north of Windsor and Vero Beach, Florida, on the barrier island at the north end of Indian River County. The museum occupies part of the former site of the Survivors' and Salvagers' Camp - 1715 Fleet, and is part of Sebastian Inlet State Park. It houses exhibits on the history of the 1715 Spanish treasure fleet, and it features artifacts, displays, and an observation deck that overlooks the Atlantic Ocean. An A&E Network production, The Queen's Jewels and the 1715 Fleet, is shown, telling of the fleet's attempt to return to Spain when a hurricane struck off the Florida coast 300 years ago. San José was a 64-gun, 3-masted galleon of the Spanish Navy. It was launched in 1698, and sank in battle off the coast of Cartagena, Colombia in 1708 while laden with gold, silver and emeralds worth about US$17 billion as of 2018. The sunken ship was located by the Woods Hole Oceanographic Institution (WHOI) in November 2015.